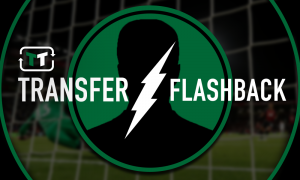 Crystal Palace have the perfect way to replace Christian Benteke at long last | The Transfer Tavern | News, breakdown and analysis on all things football! Crystal Palace remain a strong, tight-knit force under Roy Hodgson and that leaves them with a good chance at a successful campaign this season. Palace managed to keep hold of their beloved Wilfried Zaha over the summer and that especially gave the Eagles’ fans a lot to smile about. Alongside a number of new signings as well, Selhurst Park is a much happier place compared to this time last year. 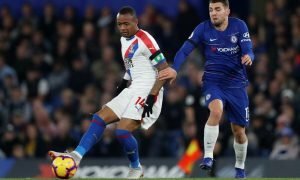 The Eagles have a great chance at building on their 11th place finish from last season, especially with the added quality of Jordan Ayew up-front. The Swansea loanee was one of few players last season that could hold their head high for Swansea as they were relegated. After making 44 appearances in all competitions last season, Ayew bagged an impressive 11 goals and three assists. Considering the lacklustre quality around him, to have that much of a contribution in-front of goal is impressive. The 26-year-old is a goalscorer and that could lead to Christian Benteke losing his place in the side. Benteke struggled for goals last season, unlike Ayew, and even though he has started the campaign up-top, their front-line could be even more dynamic with Wilfried Zaha and Andros Townsend playing balls into Jordan Ayew instead. Benteke is brilliant in the air and has a great finishing ability but in contrast with Jordan Ayew, the Belgian doesn’t offer much off the ball in terms of work-rate and that is where Ayew thrives. The Ghanian will never give the opposition a moments rest and although sometimes he might not get the goals, he will always give his club 100% effort. Would you start Ayew ahead of Benteke… Let us know!